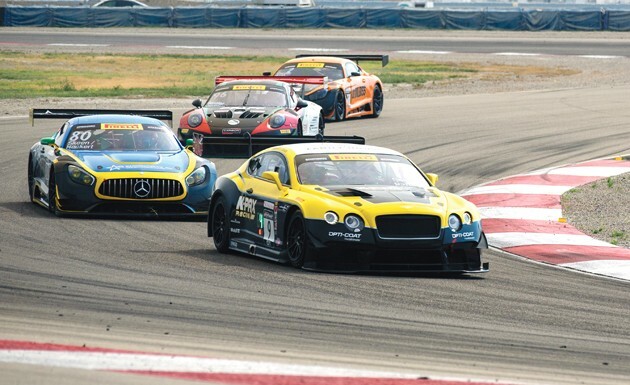 Race cars compete this year at the Pirelli World Challenge at UMC. The county announced an agreement Monday about the sale of the motorsports facility. After three years and three attempts to sell the former Miller Motorsports Park, Tooele County appears near to closing on a sale agreement for the 511-acre county-owned facility. The county has reached an $18.55 million agreement to sell what is now known as the Utah Motorsports Campus to Mitime Utah Investment, LLC, according to a statement released yesterday by the Tooele County Commission. Mitime Utah, LLC is the company that has managed the motorsports park facility for the county for the last three years. The sale of Utah Motorsports Campus represents a commitment by the county commission to ensure the facility’s proper management and long-term viability to the economic development of Tooele County, according to County Commission Chairman Wade Bitner. 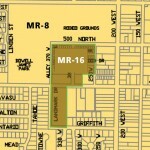 The purchase by Mitime includes the track, buildings, all physical assets as well as all 511 acres of property. Tenant leases and current event contracts will be honored under this agreement but may be subject to changes in 2019. The county commission will formalize the purchase contract after a 14-day public comment period, which will conclude on Sept. 25 at their meeting. The county issued a request for offers with required qualifications and terms for the purchase of UMC in April with a July 2 deadline for all offers. Mitime was the only qualifying bidder and offeror, according to the county’s statement. 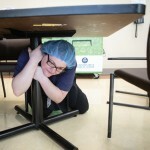 The facility has had six different appraisals in the past three years. Those appraisals have helped to inform the negotiations and final pricing. Mitime has agreed to pay the county $18.55 million for the track and its personal property. Payment will be made within 60-days of the final contract being signed, according to the MOU. County Commissioner Shawn said the sales agreement for UMC was the product of successful negotiations with Mitime. In a Dec. 2017 news analysis, the Transcript Bulletin estimated the cost of reimbursements to UMC for operating losses, equipment purchases and management fees, along with payment to Center Point Management, and legal expenses incurred by the county related to the sale of UMC, to be approximately $10 million. Long term benefits of the sale of UMC to Mitime include more events, more tourists, and more sales tax for the county, according to Bateman. Proceeds from the sale of the track will be deposited into the general fund of the county and may be used for general county needs, according to the county’s statement. Mitime is a subsidiary of Geely Holding Group of China, a publicly traded company on the Hong Kong Stock Exchange. Geely Holding Group is currently ranked 267 on the Fortune Global 500 list. Mitime Sports owns and operates racetracks and other sport and entertainment venues and endeavors around the globe and will now include Tooele County as a destination within that portfolio. Geely Motors is the largest private car manufacturer in China and also owns Volvo, Proton Motors and is the largest holder of Daimler stock. Those wanting to give public comment or input on the sale of the track may do so by contacting Milne at smilne@tooeleco.org or at 435-843-3153. Public comment can be made at the County Commission meeting on Sept. 25 at 7 p.m. in room 321 of the Tooele County Building at 47 S. Main St., Tooele. Miller Motorsports Park opened in June 2006 on 511 acres of land leased to the Miller Group by Tooele County. As part of the lease agreement, the Miller Group paid the county 5 percent of the track’s revenue. In 2013 MMP’s annual lease payment to the county was $337,166. The Miller Group informed the county in May 2015 that it would not renew the racetrack’s 10-year lease. 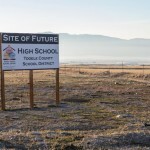 The track, the buildings, and all other facilities became the property of Tooele County upon the termination of the lease, according to the agreement. The county signed an agreement in Oct. 2015 to sell the facility for $20 million to Mitime Utah Investment, a subsidiary of Geely Holding Group, a publicly owned multi-national company based in China. Center Point Management, a Las Vegas-based development company, which had initially bid $22.1 million for the former Miller Motorsports Park, filed a motion in 3rd District Court to set aside the sale to Mitime. Center Point argued it had offered a higher purchase price. Third District Court Judge Robert Adkins set aside the sale to Mitime in Dec. 2015. During the hearing before Adkins, Center Point Management raised its offer to $28.5 million. While Center Point’s challenge to the sale of Miller Motorsports Park proceeded through the courts, the county entered into an agreement with a subsidiary of Mitime to manage the facility for the county for the 2016 season. The subsidiary’s name was Utah Motorsports Campus, LLC. The county renewed the management agreement with UMC, LLC, one year at a time, for 2017 and 2018. The management agreement with UMC, LLC called for the county to reimburse UMC for operational losses, the cost of acquiring capital assets and business personal property, and to pay a management fee equal to 1 percent of cash receipts, after the track was sold. Instead of selling UMC to Center Point, the county sold it to the county’s redevelopment agency for $20 million in Dec. 2016. Center Point again filed a complaint in 3rd District Court, asking this time that the sale of UMC to the RDA be set aside and the county be directed to sell UMC to Center Point. In response to pre-trial motions, 3rd District Court Judge Randall Skanchy set aside the sale of UMC to the county’s RDA. The court was considering Center Point’s request that the court direct the county to sell the facility to Center Point when the county and Center Point reached a settlement agreement. Center Point agreed that for a $1.55 million settlement paid by the county, it would drop all challenges to the sale of UMC and not participate in future attempts to buy UMC. Skanchy approved the settlement in Dec. 2017. The county released a request for offers for purchase of UMC in April 2018. The deadline for offers was 5 p.m. July 2, 2018. According to the original terms of the sale offer, Tooele County was to announce the offer it had accepted, if one was accepted, within 30 days of the deadline for receiving offers. Closing was to follow in another 30 days, with the cash purchase price due in full. Congratulations to everyone! I’m looking forward to even more racing action in the future. I’m still confused why the judge allowed Center Point’s bid argument when they obviously didn’t have the money to ever purchase the property. Good luck to their former law firms in trying to get paid in their lawsuits against Center Point.